It’s no secret that Penn has a huge LGBT community. We are considered one of the most LGBT-friendly schools in the nation. It’s interesting to note the fact that I’m writing this in the first place. Before coming to Penn only a few months ago, I was afraid of even writing about my sexuality. There was absolutely no documentation of it—I either kept it to myself or ripped it all to shreds. That goes to show how far I’ve come here. That goes to show how powerful an accepting environment is for an individual, and how truly powerful and motivating Penn’s campus has been for me. From not being able to talk about it, to coming out to people at Penn, to coming out to my parents and friends, to writing a blog post about sexuality. And I’m not the only one. I’ve been surprised several times by other freshmen whom otherwise seemed very comfortable with their sexuality, only to discover they had, too, only just come out once they had gotten to Penn. I don’t think people understand how important development of one’s sexuality is. Not knowing, not being sure, living in self-denial, is walking through a tunnel without any light at the end—the light is in our minds, it is what we want and desire, how we wish things really were in the world—and even that many of us feel compelled to push back to the farthest depths of the subconscious. It is, for us, the epitome of oppression. It is what chains us to the bottom of a tank slowly rising with water. Without the sense of understanding and acceptance I’ve come to know at Penn, I hardly know where I’d be now. Would I be out? Would I have accepted myself for who I am? I doubt it. I think, of all the things for me to be grateful to Penn, it is the community that has come to see no difference between different types of sexualities. The acceptance isn’t just within the LGBT community, but within all of campus. It’s a chosen blindness—people here choose not to care about such trivial matters. Penn has become a home for me, in large part because it has made the transition of coming out so much easier. It gave me a support group when I was preparing to come out to my family and friends back home. It introduced me to people I’ve become close to, and will continue to call my closest friends for years. It continues to inspire me, and other LGBT students, to fight for change in the world. Penn’s doing a great job of that, too. The LGBT center here isn’t just a place for acceptance, but also a huge player in the realm of LGBT politics and LGBT rights. We will continue to fight for LGBT rights, because they are necessary. The safe haven this university offers only exists, unfortunately, within the bounds of University City. Outside exists another world, one with different people and different beliefs. Out there, there is much less acceptance and tolerance. The pressure to be “normal” is suffocating. It takes years for some to come out. Some never do. And all the while they contemplate to themselves, “But why can’t I just be who I am? Why can’t it all be easier?” The LGBT community suffers from depression, anxiety, consumes more tobacco than the average population, and the rates of suicide are through the roof within the LGBT population. Clearly, the consequences of intolerance within our culture can be serious—even fatal. Penn sees that, and knows it well. Many of our own experiences provide motivation to fight for those who feel like they cannot speak. And so, we beat on, boats against the current. The rivers will rise, they will flood, they will threaten us, and they will endanger the entire LGBT world. But for all the rivers in the world, here stands Penn, one of many places still fighting for human rights, and here it will stand. The Alumni Education Office partners with Career Services to offer a wide array of professional development seminars and workshops exclusively for alumni. Whether you’re expanding your network and looking for your first job, preparing for a mid-career change, connecting with other executives, or building your professional skills, Penn Alumni Career Networking is your guide. Below is a list of upcoming online events; for a full list of upcoming events, click here. And don’t forget you can connect with Penn Alumni worldwide anytime using the new QuakerNet! Join a diverse group of alumni from around the country for career-focucsed speednetworking online from anywhere you may be: home, office, anywhere. This is an opportunity to ask questions, provide answers, exchange contact information, and build your Penn alumni network. Choose one of four career “booths” and be matched with others at random for text-based chats. You never know whom you might meet, so don’t miss this chance to seek career advice, share your professional experiences, and strenthen your connections. *This is an alumni only event. Students and Alumni Register Now! Penn Alumni Network Roulette enables you to speed-network from wherever you are: home, office, library, or even on the road. Students and alumni will be randomly matched for 9-minute text-based chats that provide an opportunity to ask questions, make new connections, and exchange contact information. Choose one of two geographically focused sections to be paired with others in Northern or Southern California. Are you an alumnus with advice for current students or new graduates? Do you want to share your industry experience? Is there something you wished you had known when you were an undergrad? Are you a current student seeking advice from someone working and living in India? Students are encouraged to take advantage of this unique opportunity to build their Penn India network. Alumni currently living in India are invited to give back to Penn by offering advice and helping students interested in working and living in India. Choose one of four geographically focused sections to be paired with others in Bangalore, Delhi, Kolkata, or Mumbai. 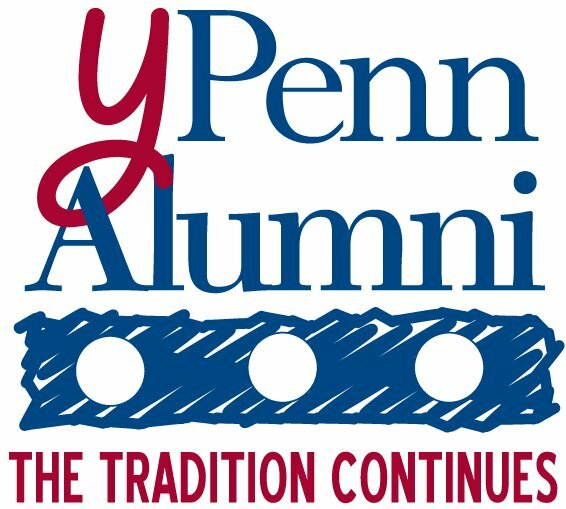 Are you a yPenn alumnus with advice for current students or other young alumni? Do you want to share your industry experience? 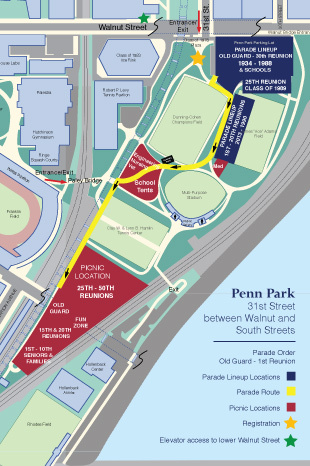 Are you looking for a great, simple way to give your time back to Penn? Are you a current student seeking advice from someone working and living in Chicago or Boston? Are you a young alumnus looking to switch cities or careers? Whichever side of the chat you’re on, sign up today to connect with members of the Penn community in one of these exciting cities! Choose one of two geographically focused sections to be paired with others in Chicago or Boston. We welcome all who currently live in one of these two cities, or who are just interested in learning more about working and living there! 11:00am (EDT) – 12:00pm (EDT)Join us for a webinar with three experts who will address finding fit and branding, resume writing, and recruiting. Alumni Register Now! Would you benefit from expanding your professional network and advice on returning to work? Do you have experience transitioning back to work that you are willing to share with others? Take advantage of this unique opportunity to connect with other Penn alumnae who have or are looking to return to work. Join alumnae from around the world for a career transition focused networking session. Penn Alumni Network Roulette enables you to speed-network online from wherever you may be: home, office, or even on the road. Alumnae will be randomly matched for 9-minute text-based chats that provide an opportunity to ask questions, make new connections, and exchange contact information. Join the webinar prior to the networking session. SCUE (Student Committee on Undergraduate Education, the academic branch of student government) is excited to announce the launch of a new interdisciplinary learning platform – oPenned (pronounced “opened”). Think of it like a cross between the best of TEDx and open online learning platforms – oPenned condenses and curates the best of academic-related resources at Penn into one website. Prospective students, current students as well as alumni can go into the website and discover the intellectual gems Penn has to offer. oPenned offers an interdisciplinary look into different topics – from Food to Astronomy – through curated “tutorials”. As you click through each tutorial, expect to look at different material – from videos to articles – relating to the topic that is pulled from different schools and disciplines at Penn. For example, food is not a conventional topic nor a department at Penn, but professors, students and institutions at Penn have been doing in-depth research and investigation into this topic. You’ll be able to go into oPenned’s Food tutorial and look at it from a psychological, medical as well as historical perspective – all of which stems from Penn-related research and resources. Almost every day at Penn, a lecture or academic discussion of some sort is taking place on campus. oPenned includes a section called “Currently On Campus”, which pulls together videos of interesting speaker events or performing arts shows that have happened on campus. Take a look at the innovative discussions that have been taking place on campus, and be part of the journey of life-long learning. Penn has so, so much to offer, and every day exciting interdisciplinary research is done by Penn faculty and students, giving novel perspectives to longstanding topics such as Journalism and Human Evolution. This wealth of knowledge doesn’t just stop after graduation – and oPenned provides an easy way to connect back to academic discussions that are happening on Penn’s campus. SCUE hopes that oPenned will become a hub for intellectual community at Penn, and that students, faculty and alumni will be able to utilize it to engage with Penn continually. Check out SCUE’s website (www.scue.org) and follow us on Twitter (@PennSCUE) to stay up to date on the latest projects SCUE members are getting involved with to enhance the academic experience at Penn. 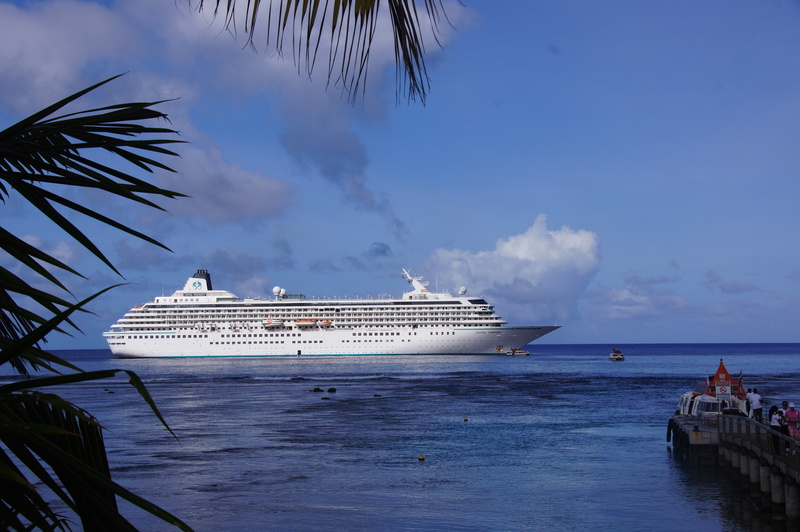 I grew up just a block from the South Pacific in Newcastle, Australia, and so when I learned that Penn Alumni Travel was looking for a faculty host for a Crystal Cruises voyage from Papeete to Auckland, I was quick to volunteer and very grateful to be accepted. As I pondered the itinerary, I realized that we would be following in the wake of many famous navigators, but particularly men like Captain James Cook (no relation to the famous, but now defunct, Cooks Travel Agency), Louis-Antoine de Bougainville (who had a flower, and an island that was to become an important battleground in World War II named after him) and Jean-François de La Pérouse (who, among other things, gave his name to a suburb of Sydney). I decided this was a perfect way to combine pleasure with history and that the two talks I was to give the group would be on these 18th century sailors. We arrived at Papeete Airport early (6:10 AM) on the morning of January 20, somewhat bleary-eyed after 8 and a half hours of sometimes bumpy flying over the Pacific from Los Angeles. It was quite hot and humid (most of the year Tahiti has a much more pleasant climate, but this was the middle of the Tahitian summer) and we were directed to the Intercontinental Hotel where a refreshing buffet of all sorts of French pastries and tropical fruits awaited us. We were able to enjoy the facilities of the hotel until 11:30 when a bus arrived to transport us to the ship. 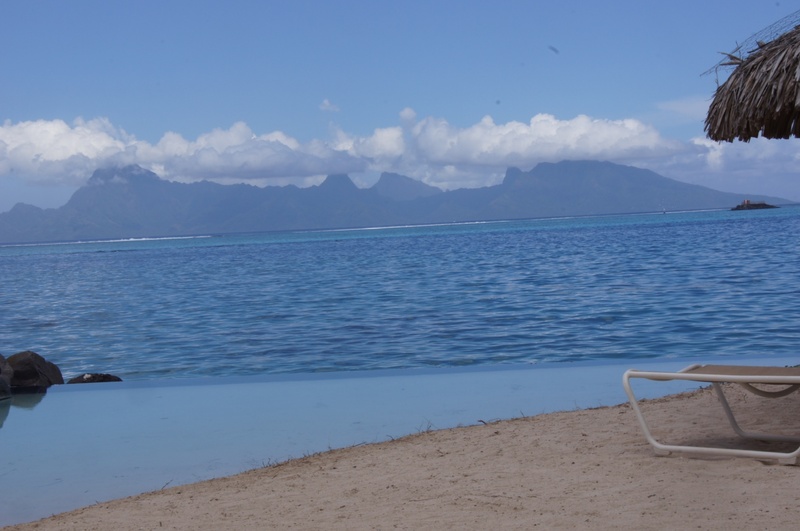 The view from the hotel grounds was idyllic, with the deep blue waters of the Pacific stretching across to the beautiful island of Moorea. That evening we met our AHI host, a very efficient and witty Brit by the name of John Powell (after seeing him in action one wondered if he were not a descendant of Baden Powell, founder of the Boy Scouts!). 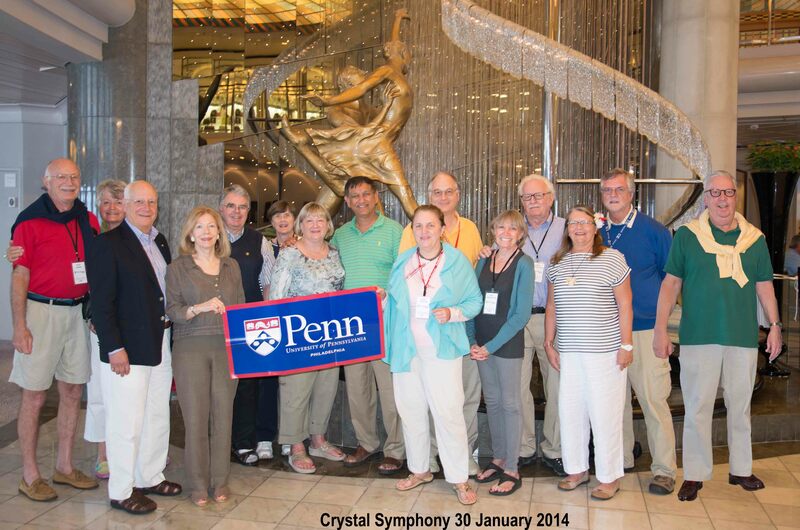 AHI is an educational tour operator that works with Penn Alumni Travel to provide enlightening and well-organized tours. We also met alums from Wisconsin, Michigan and members of the Smithsonian Institution at an AHI cocktail reception in the beautiful Palm Court Lounge on deck 11 with a wrap-around view over the Crystal Symphony’s bow. My wife Mary and I had chosen the “dinner by reservation” option, rather than a set table, in the hope we would be able to join people in the Penn group on a rotation basis. However, as Crystal cruises has an extremely loyal following and as many passengers had been on the ship since Valparaiso and were continuing on to Sydney, there was very little flexibility in dining room seating and we ended up at a table for two (fortunately, even after 45 years of marriage, we still have plenty to say to each other). 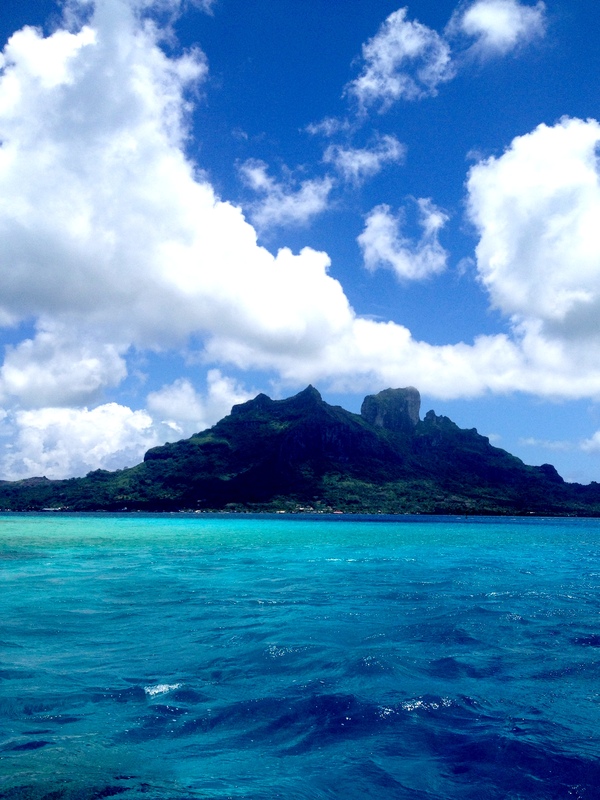 Next day, we anchored off the beautiful island of Bora Bora where we had opted for a snorkel tour with stingrays and sharks (small reef sharks, not great whites). This was very pleasant and we had the backdrop of Bora Bora, which we circumnavigated after our encounter with the aforementioned sea creatures on our way back to the ship. After the morning excursion and some shopping for black pearls in the sleepy town of Vaitape, we were tendered back to the ship for a late dinner and then off to bed, to be rocked to sleep by the (still) gentle waves of the Pacific. Next day was a day at sea and was when my first talk was scheduled. Mercifully the seas were slight and the lecturer (yours truly) had no problems maintaining his balance on the stage of the Hollywood Theater (as close as he’ll ever get to Hollywood, except as a tourist!) as he talked about the perils, challenges and some pleasures of maritime exploration in the 18th century in the Pacific. As jetlag hadn’t quite been conquered, some members of the group retired to their cabins for a siesta before coming to the 5:30 PM reception organized just for the Penn group in the Palm Court Lounge. Next day we anchored off Rarotonga in the Cook Islands (yes named after that Cook, even though he never actually set foot on them). 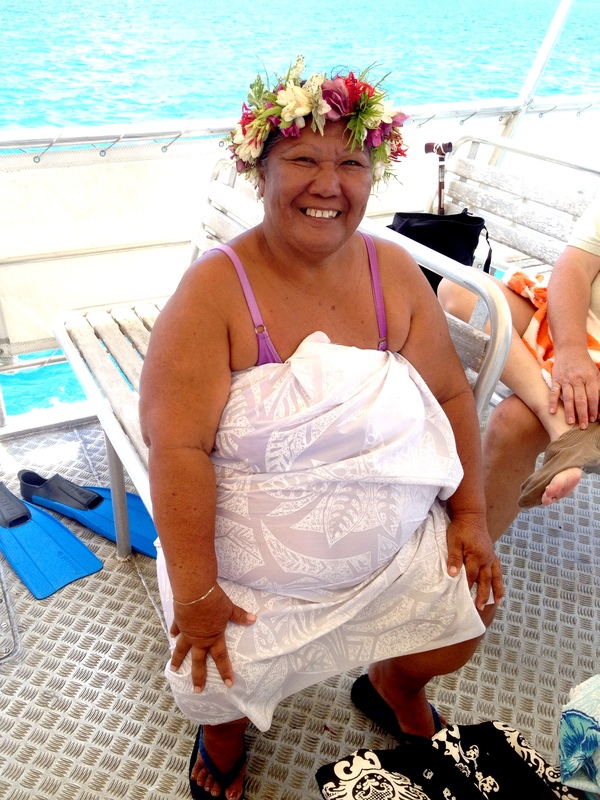 While less spectacular than French Polynesia, the Cook Islands have their own tropical beauty and the Cook Islanders are particularly friendly. 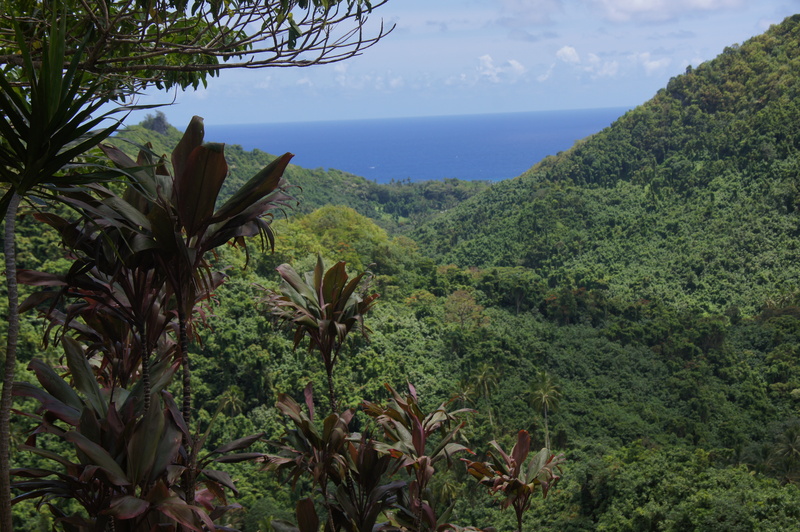 We saw the blowhole, which gave a modest performance; flying foxes (large bats that are not nocturnal) and which had colonized a number of fruit trees; and a dance show, which was extremely modest in both dress and movement, compared with the rather raunchy dances in other parts of Polynesia. One suspects that the missionaries who arrived in the 19th century had done their work perhaps too well! 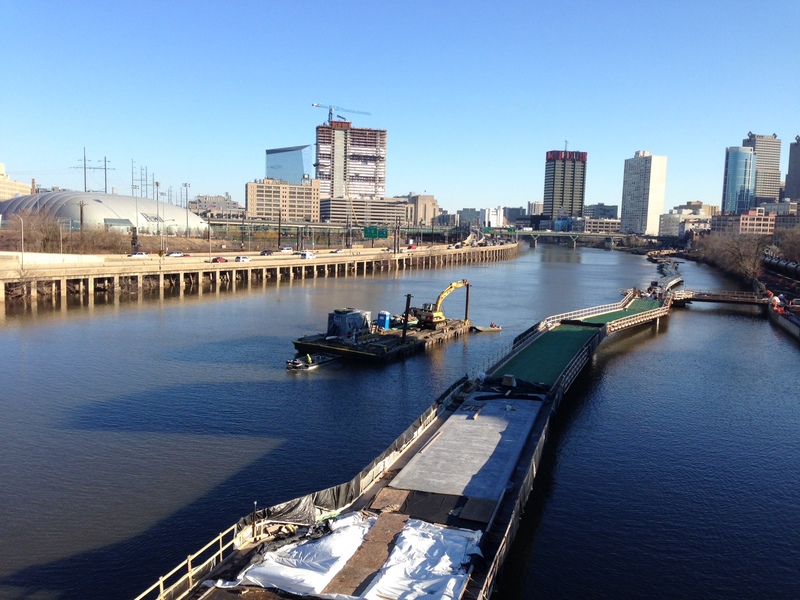 The highlight of our day however was the wonderful sailaway sendoff we were given as we cast off from the pier. 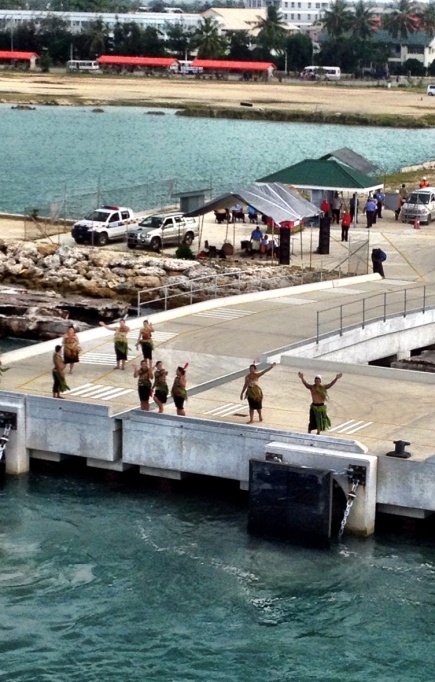 The police band gave us a concert and a group of dancers, swayed gracefully, as they sang the tear-jerking Maori farewell. Quite memorable and unique. Our next port of call was Lautoka, Fiji, but en route, we heard the first of three fascinating talks on astronomy and the latest theories on the universe by Carolyn Petersen, the lecturer with the Smithsonian group. 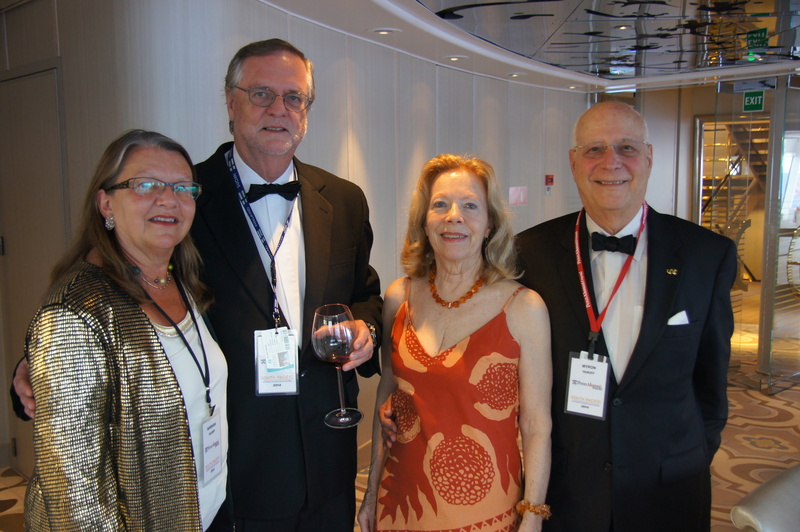 On our sea days, there was a great deal of activity on board, and three other lecturers (engaged by the cruise line) gave talks open to all the ship’s passengers, while, because of space constraints, our lectures were only open to the members of the AHI contingent. In some ways, our days at sea were even busier than those in port. 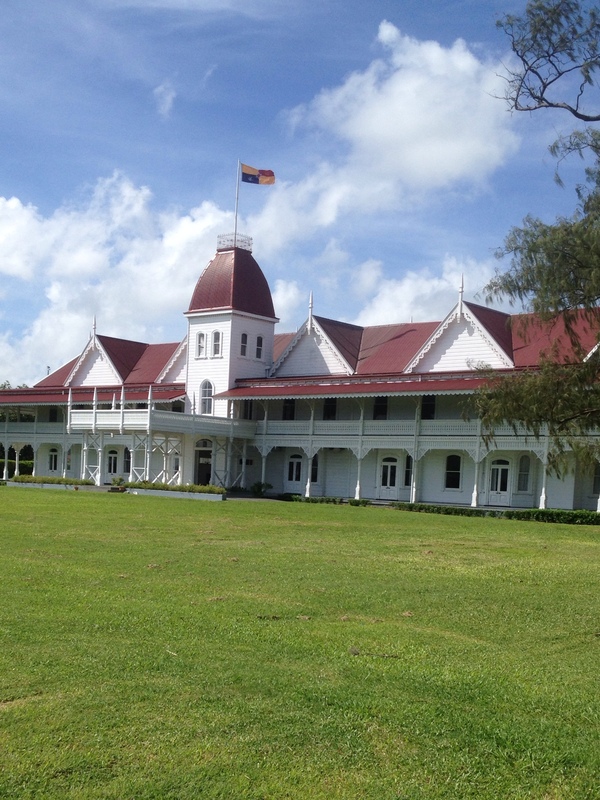 Lautoka is on the island of Viti Levu, the largest of the Fijian Islands and by far the largest island we visited before arriving in New Zealand. Here we encountered our first real rain so far, apart from a few passing sprinkles on Rarotonga. 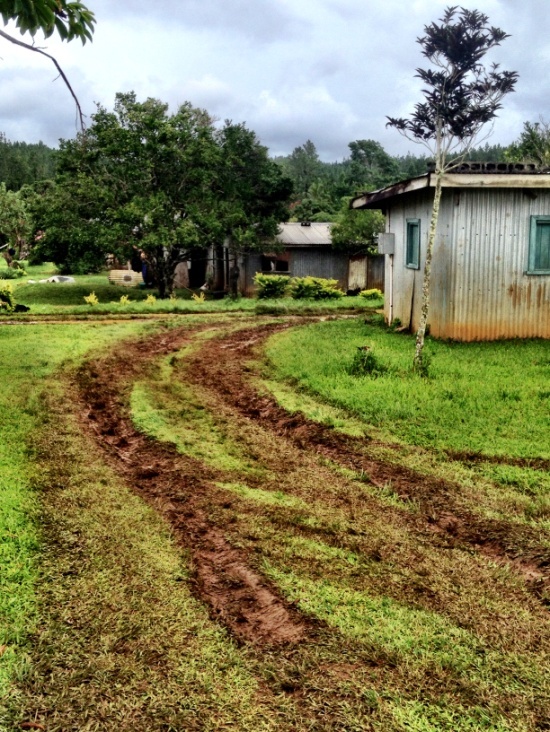 Some had chosen the four-wheel drive adventure that would take us up into the highlands and to a typical Fijian village. This was one of the best excursions we have ever done. 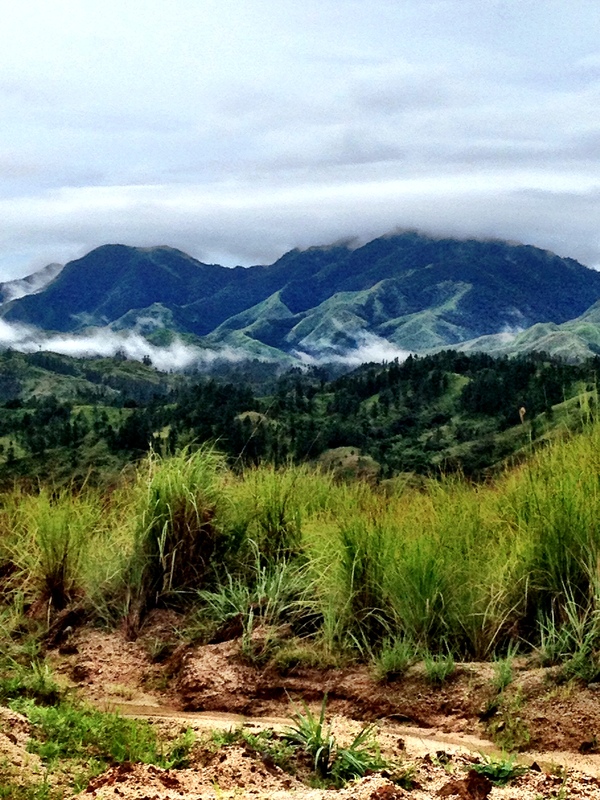 We were comfortably transported in air-conditioned Toyota land cruisers up some very rough roads leading up into the hills, from where we had a beautiful view of the interior of this lush island. 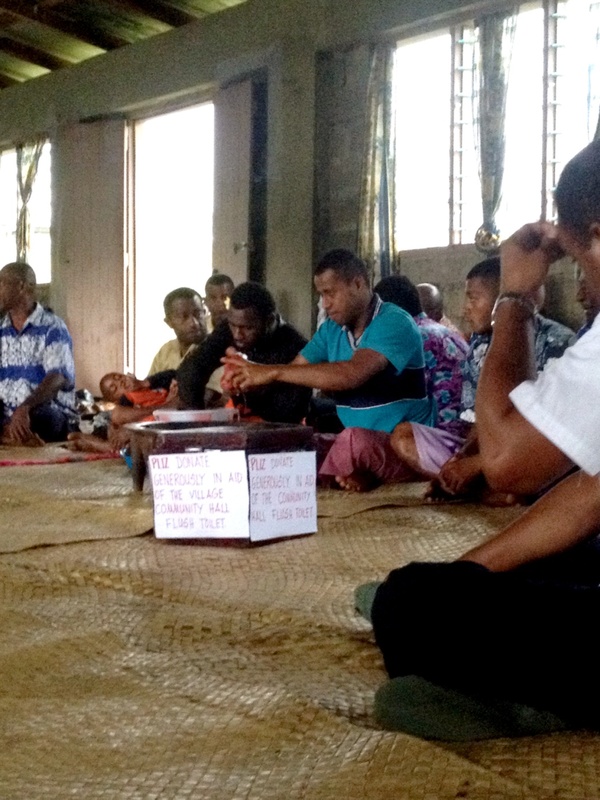 We then visited a village in the highlands, where we saw the church, the equivalent of the court house (where miscreants were punished) and the community hall, where we participated in a kava ceremony, some of us drinking from a coconut shell the numbing liquid of the kava tree, which had been prepared before our eyes to the accompaniment of songs and chants. 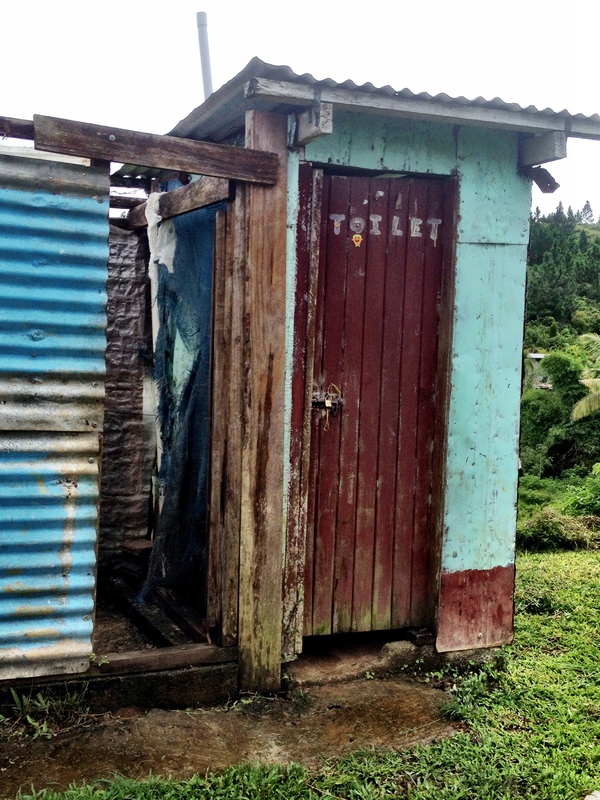 However imagine our surprise, when, on opening the door, we found a fully operational flush toilet! On our return to the ship we visited an orchid farm and a house which had been in the hands of the same Scottish-Fijian family since the mid-19th century. By this time the rain was coming down in torrents, but it had been a wonderful excursion and we returned to Crystal Symphony delighted with our adventure. We had another late afternoon reception for the entire AHI group in the Palm Court Lounge, but the ship was pitching so enthusiastically that only about half of the group came and those that did had to remain seated. The captain even cancelled the Formal Dress that was supposed to be the dress code for that evening, replacing it with Resort Casual, and banned the wearing of high heels to avoid possible accidents! We arrived 4 hours late (the delay caused by the weather) in Auckland. We overnighted here in superb weather. The largest city in New Zealand, with a population of over 1 million, Auckland is known as the City of Sails, since sailing is a passion for its inhabitants thanks to its climate and proximity to the water. It is no wonder this small island nation has played such a prominent role in America’s Cup competitions. 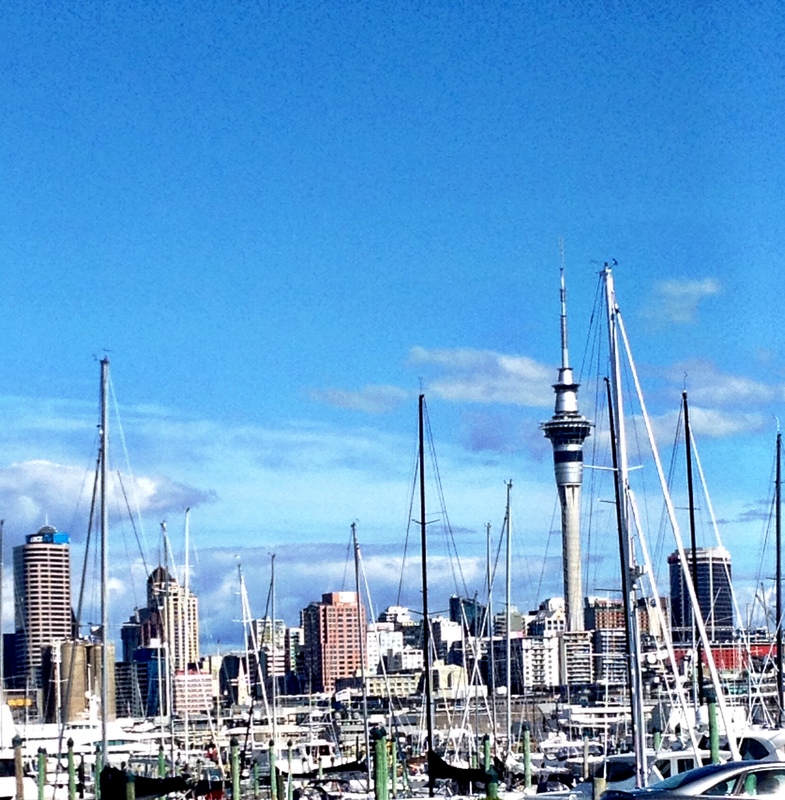 The view of Auckland below shows one of its many marinas, which are adjacent to downtown and the Sky Tower, one of the tallest structures in the Southern Hemisphere. After enjoying the perfect weather on Saturday and Sunday, we were transferred to the airport on Sunday afternoon for our various long flights back to the States. A number of people in the group opted to go on an extension to Queenstown, an important and beautiful tourist destination in the heart of the spectacular South Island. A few stayed on to rent a car and explore the North Island. 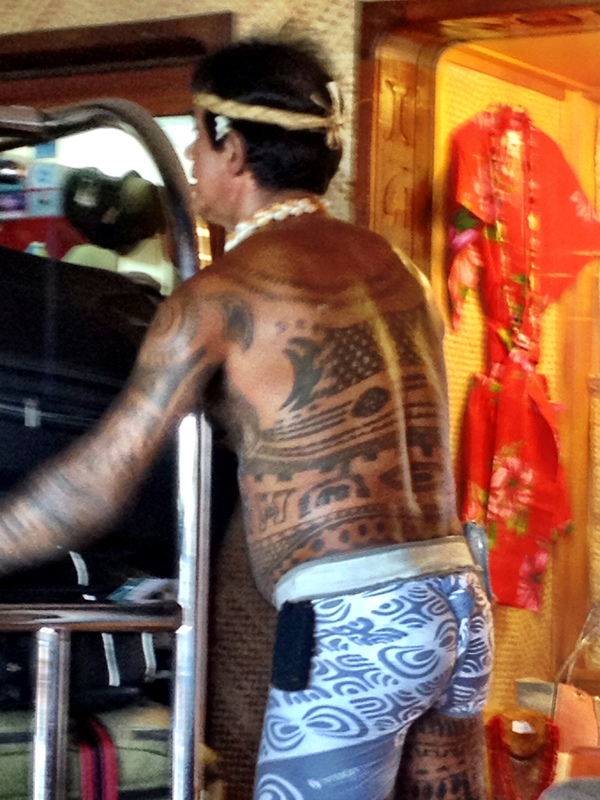 The rest of us headed back to the winter of 2014 after our two weeks in the South Pacific. 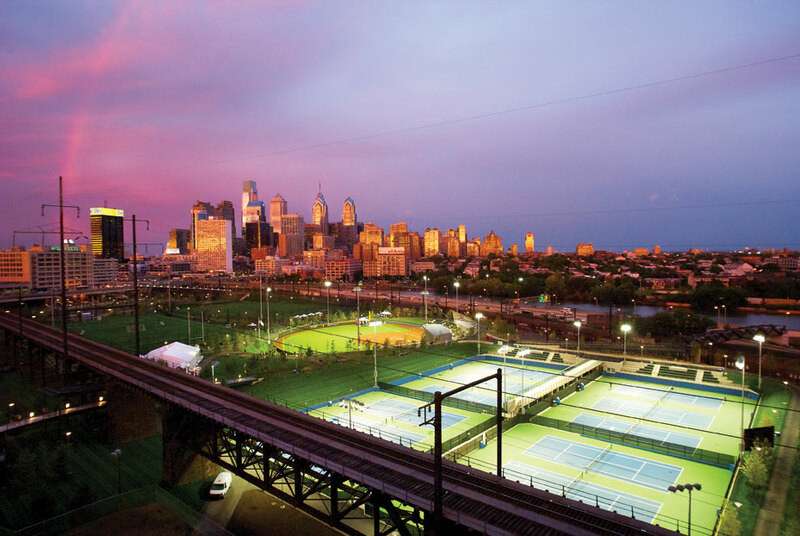 Penn Alumni Travel could not have picked a better way to have some respite from this Mother of All Winters. It was a truly delightful experience.